As construction charges forward for Super Bowl 50 events, some in San Francisco are concerned about the $4 million bill for taxpayers. SAN FRANCISCO (KGO) -- Super Bowl 50 is still more than four weeks away, but preparations for the big game are beginning to take shape in San Francisco. This is happening as city leaders raise new questions about how much taxpayers will be on the hook for the celebration. Steuart Street will be shut down all weekend because a massive crane will be installing a sky lounge up on the seventh floor of a building. It will overlook part of Justin Herman Plaza. In just two weeks it will become part of Super Bowl City. This weekend's project is the first wave of coming installations. More closures will come in two weeks when crews begin building the official Super Bowl City. Omar Idlebi is expecting a boom in business at his nearby liquor store, Drumm Liquors. He told us, "We are very ready and excited. Of course, it will bring a lot of business for us." 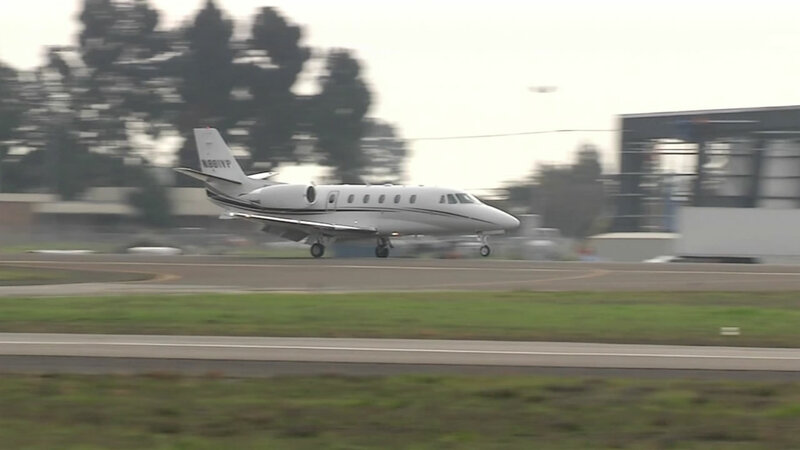 The Bay Area's airports are preparing for an influx of private jets for Super Bowl 50. But not everyone is celebrating. San Francisco Supervisor Jane Kim is concerned about the bill to tax payers. "So, my understanding right now is that the Super Bowl Committee is not paying for any of the $3-4 million in costs the city is providing in services for this private corporate party," Kim said. Her multi-million-dollar figure is from a memo by the mayor's budget office detailing how much the city expects to shell out for police, fire and transportation costs. The mayor's spokesperson, Christine Falvey, says the city should recoup that and more. "We know that when tens of thousands of people descend on San Francisco to enjoy these activities, they're going to be going to restaurants, they're going to be purchasing things from small businesses," Falvey said. If San Francisco doesn't make back that money, the Super Bowl host committee has pledged $500,000 to offset losses. However, that is not the way the city handles other major events like Oracle Open World or Sales Force. Supervisor Kim says those companies pay. "San Francisco is proud to host the Super Bowl, but the Super Bowl is one of the wealthiest corporations in the country. They can afford to pay for their own party," Kim said. She's part of a special city hall hearing scheduled for Monday to examine these costs.